Our multi-disciplinary team created a User Experience solution that was intuitive and helped foster innovation. 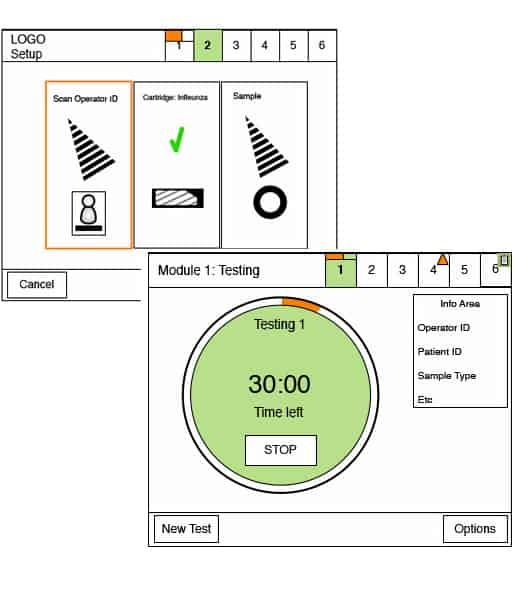 Areteworks helped Enigma set the standard for invitro diagnostic products, producing a seamless intuitive design that exceeded the client’s goals. 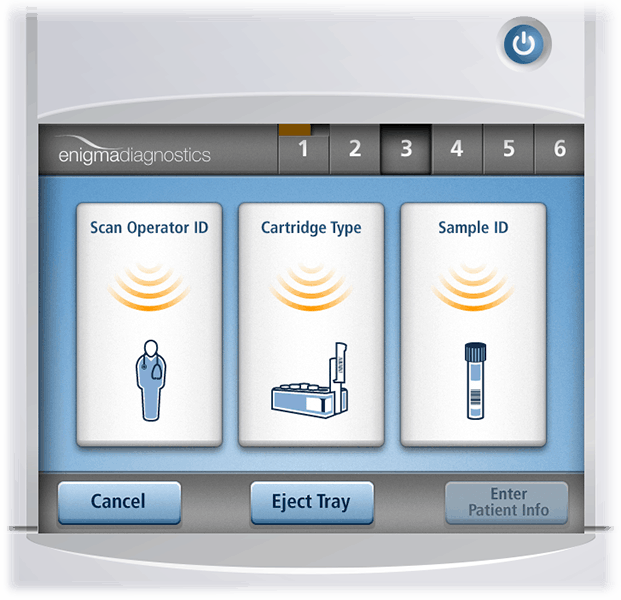 The Enigma ML is a portable self-contained molecular test platform that provides ultra-rapid results. 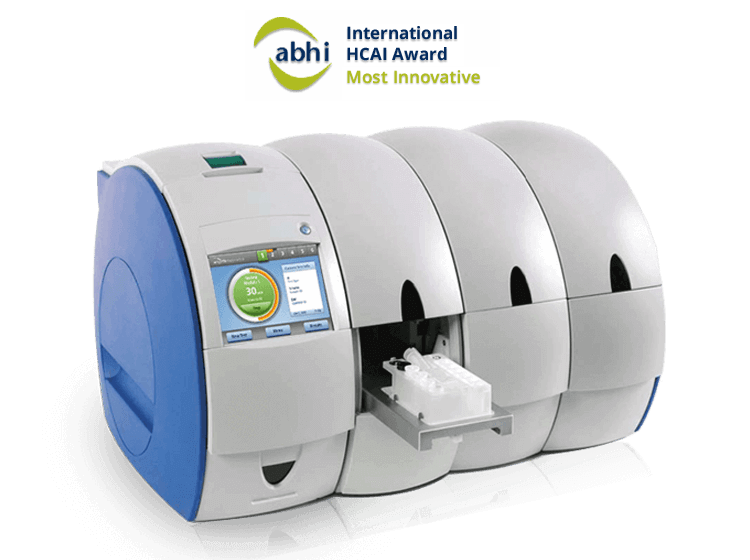 It combines the speed and sensitivity of real-time PCR with the simplicity needed for point-of-care testing. 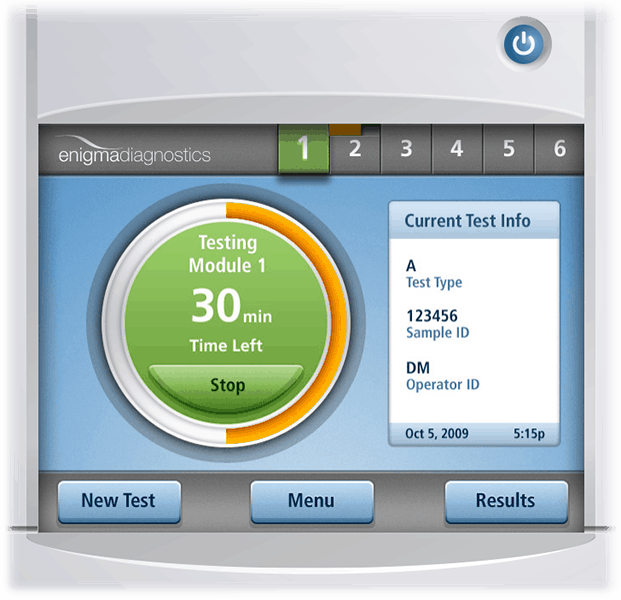 Enigma Diagnostics needed an effective and intuitive user interface to connect clinical professionals to on-site molecular test results using a fully automated platform. Areteworks was challenged to define the UI Architecture (wireframes) and the look and feel of the new Enigma ML (mini laboratory). Due to the device’s limited screen space, we needed to discover ways to convey all the important data and information in a manner that users could interpret quickly and easily. By performing User Research, Areteworks was able to gain a unique and deep understanding of the user’s daily tasks and routines of a wide range of PCR products, including competitors, to identify and solve end-users’ needs and their pain points. Using a multi-disciplined approach that included Information Architecture, Task Analysis and Usability Testing, Areteworks was able to organize the functionality of Enigma’s Mini Lab in a meaningful and valuable way. Our UI system provided end-users’ with an easy and intuitive path to their needs and goals.